Although most of us have outgrown the good ol’ days of dressing up and trick-or-treating, partaking in the Halloween spirit is far from behind us. Many people still dress up and celebrate, decorate their dorms and apartment doors and of course, eat candy. Ignorance may be the easy route when scarfing down 17 fun-size Kit Kats, but there’s no doubt that eating tons of candy is going to have some kind of effect on our bodies. What sugar specifically is or does to us is still a mystery for some. When put simply, all sugars are carbohydrates. The Sugar Association defines carbohydrates as “macronutrients that provide the body with energy,” including the brain, muscles and other organs. Bill Brewer, director of Exercise Science in the Wegmans School of Health and Nutrition, discussed how the body uses this sugar. “From the point of view of physiology, all sugar is ultimately the same because the body converts any and all sugars into glucose. The glucose is then what’s used to power both immediate and long term needs for energy in the body,” he said. While all sugar is processed the same by the body, there is still a difference between the two types of sugar we consume — added and natural — and what they do to us. These sugars are best to be avoided due to the effects they can have on your body. Excess sugar can lead to higher acne development, increased weight gain and energy depletion. While sugar can be a good energy source, food with higher amounts of added sugar can overload your system and cause energy rushes that end in a crash. Sugar crashes, as children, simply meant falling asleep on the couch and having the luxury of being carried up to bed. But lets face it, we're getting older and more tired by the day, with no one to carry us up the stairs or back to our homes from Midnight Oil. 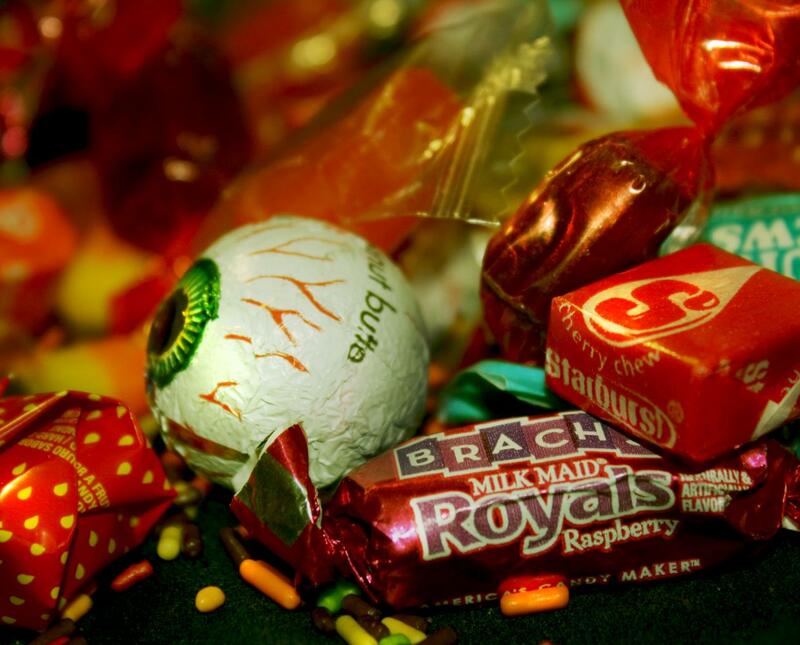 Nowadays, even one too many pieces of candy can send us into hibernation. Not only can our brains shut down due to sugar, but they can also become dependent on it. Dopamine is the “feel good” chemical in the brain, and while this hormone isn’t bad for you, foods like fruits don’t tend to release as much as candy or pastries might. We have all experienced the Halloween hangover which logically can only be cured by eating more candy or other added sugar sources, rather than fruits. But of course, this method will only lead into a repeat cycle of candy hangovers. These added sugars are found most commonly in pastry or dessert items, sugar-sweetened drinks such as soda and candy. They are also found in unsuspecting items, like instant oatmeal and other snack foods. “In most cases it seems like natural sugar — in moderation — doesn’t have any negative effects,” Dolan said. There are two kinds of natural sugars — fructose and lactose. The foods that these sugars are found in hold substantial nutritional value. Lactose is found in milk, which also contains calcium and small amounts of Vitamin A, C and D.
Fruit is a common source of fructose, which is digested only by the liver. Like with all organs though, sometimes too much of a good thing can be a bad thing. Dolan commented on how too much fructose could be potentially harmful. “If you chronically consume way too much fructose, theoretically, it could lead to a fatty liver ... that being said, don’t freak out about eating too many fruits. In general, fruits are very healthy for you,” she said. The majority of raw fruits contain other health benefits including Vitamin C, potassium and dietary fiber — all of which are important for us to maintain good health. Even though natural sugar is better than added, sugar overall is best in moderation and necessary for living a healthy life. “We need that glucose to run our bodies. Someone who says, ‘I’m not gonna eat any sugar.’ Well, that’s fine if you mean table sugar, if you mean sugar syrup, if you mean those various things. But to say, ‘I’m not going to eat any carbohydrates,’ well that’s a big mistake because our body needs glucose to run,” Brewer said. If you live an active lifestyle and eat a well-balanced diet, sugar won’t be your enemy. “The thing you can do is be physically active. To exercise. To walk. To utilize your muscles to consume that additional energy that you’ve taken in,” Brewer said. There is no reason to deny yourself the social pleasure of Halloween candy indulging. Don't live in fear of what sugar can do to your body, as long as you aren't over-consuming bad sugars and are taking care of yourself for the long run.